North Carolina State University researchers have developed methods for electronically manipulating the flight muscles of moths and for monitoring the electrical signals moths use to control those muscles. The work opens the door to the development of remotely controlled moths, or “biobots,” for use in emergency response. Electrodes are attached while the moth is still in its cocoon. Photo: Alper Bozkurt. Click to enlarge. 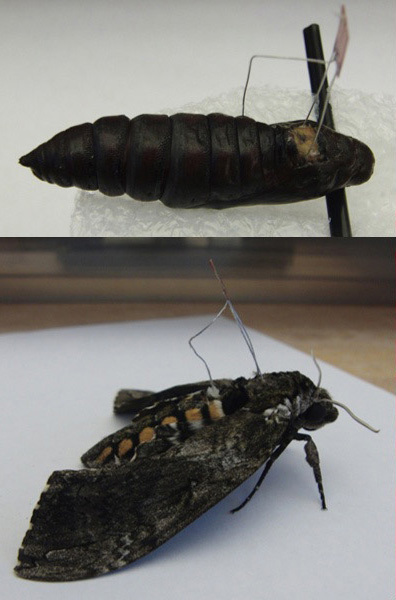 The paper presents a technique Bozkurt developed for attaching electrodes to a moth during its pupal stage, when the caterpillar is in a cocoon undergoing metamorphosis into its winged adult stage. 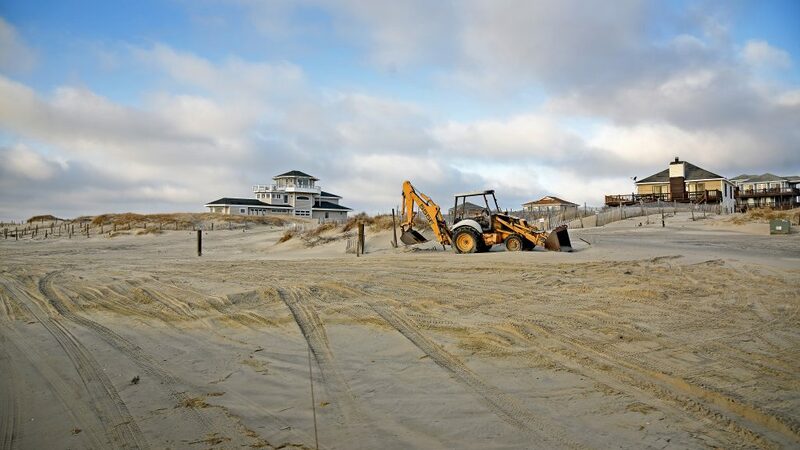 This aspect of the work was done in conjunction with Dr. Amit Lal of Cornell University. But the new findings in the paper involve methods developed by Bozkurt’s research team for improving our understanding of precisely how a moth coordinates its muscles during flight. By attaching electrodes to the muscle groups responsible for a moth’s flight, Bozkurt’s team is able to monitor electromyographic signals – the electric signals the moth uses during flight to tell those muscles what to do. The moth is connected to a wireless platform that collects the electromyographic data as the moth moves its wings. To give the moth freedom to turn left and right, the entire platform levitates, suspended in mid-air by electromagnets. A short video describing the work is available at http://www.youtube.com/watch?v=jR325RHPK8o. “By watching how the moth uses its wings to steer while in flight, and matching those movements with their corresponding electromyographic signals, we’re getting a much better understanding of how moths maneuver through the air,” Bozkurt says. But Bozkurt stresses that there’s a lot of work yet to be done to make moth biobots a viable tool. The paper, “Early Metamorphic Insertion Technology for Insect Flight Behavior Monitoring,” is published online in the Journal of Visualized Experiments (JoVE). JoVE publications have two parts, a written component and a video describing the work. The paper was co-authored by Alexander Verderber and Michael McKnight, Ph.D. students in Bozkurt’s lab at NC State. 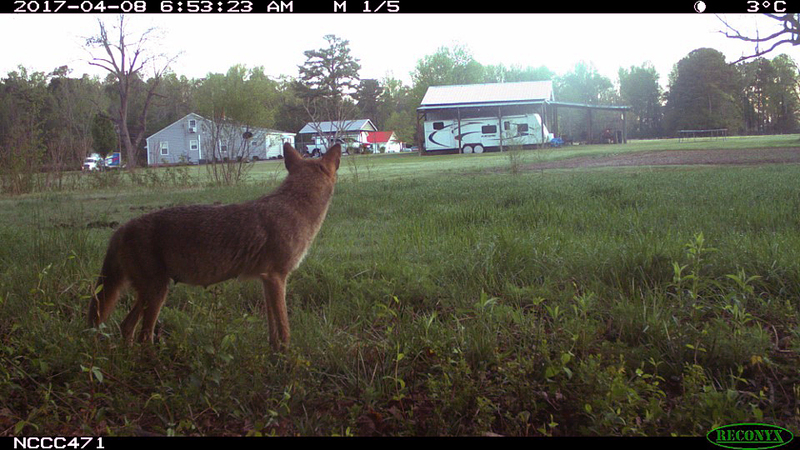 The research was supported by the National Science Foundation, under grant CNS-1239243. The researchers also used transmitters and receivers developed by Triangle Biosystems International and thank them for their contribution to the work. Abstract: Early Metamorphosis Insertion Technology (EMIT) is a novel methodology for integrating microfabricated neuromuscular recording and actuation platforms on insects during their metamorphic development. Here, the implants are fused within the structure and function of the neuromuscular system as a result of metamorphic tissue remaking. The implants emerge with the insect where the development of tissue around the electronics during pupal development results in bioelectrically and biomechanically enhanced tissue interface. This relatively more reliable and stable interface would be beneficial for many researchers to explore the neural basis of the insect locomotion with alleviated traumatic effects caused during adult stage insertions. In this article, we implant our electrodes into the indirect flight muscles of Manduca sexta. Located in the dorsal-thorax, these main flight powering dorsoventral and dorsolongitudinal muscles actuate the wings and supply the mechanical power for up and down strokes. Relative contraction of these two muscle groups has been under investigation to explore how yaw maneuver is neurophysiologically coordinated. To characterize the flight dynamics, insects are often tethered with wires and their flights are recorded with digital cameras. 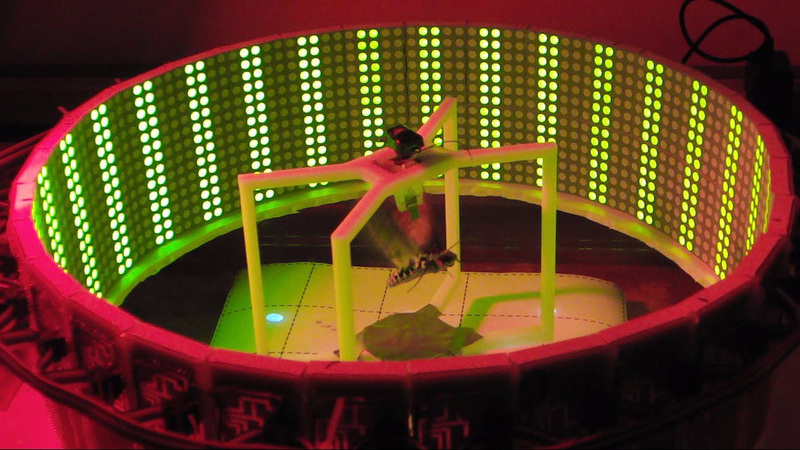 We also developed a novel way to tether Manduca sexta on a magnetically levitating frame where the insect is connected to a commercially available wireless neural amplifier. This set up can be used to limit the degree of freedom to yawing “only” while transmitting the related electromyography signals from dorsoventral and dorsolongitudinal muscle groups. Cyborg insects for spying? Sure, why not? It’s not as if we don’t have enough assaults on our privacy already, so we might as well take it even further. DARPA won’t be satisfied until it can literally read everyone’s mind from a distance. Maybe if we keep up this kind of research long enough, the oligarchs who are running countries like the US will truly gain godlike omniscience, allowing their totalitarianism to reign unchecked forever.